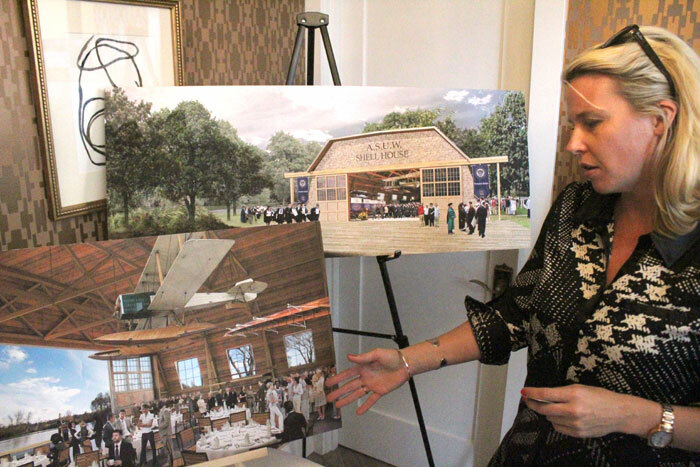 Photos by Brandon Macz: Nicole Klein, ASUW Shell House capital campaign manager, shared information about the $10 million renovation project during an open house at Realogics|Sotheby’s International Realty's Park House on Thursday, May 10. Realogics|Sotheby’s International Realty broker Toby Lumpkin was on the UW Rowing crew from 1988-91. 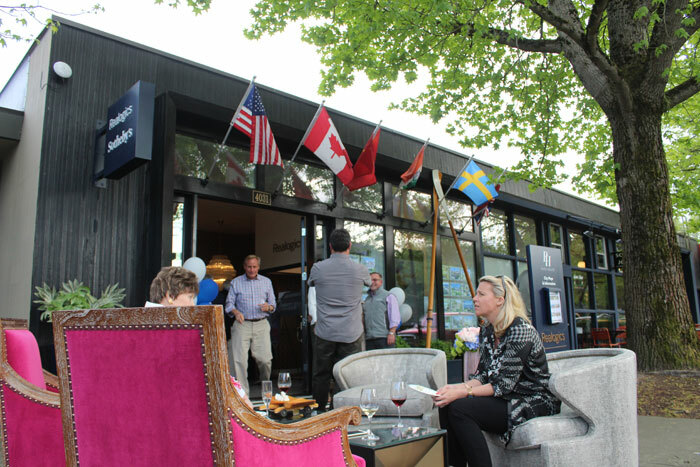 Park House adds an outside living room during its May 10 open house. Toby Lumpkin has a passion for construction, real estate and rowing. He combined them all together during an open house in Madison Park to raise awareness and funding for a $10 million renovation of the University of Washington’s ASUW Shell House. 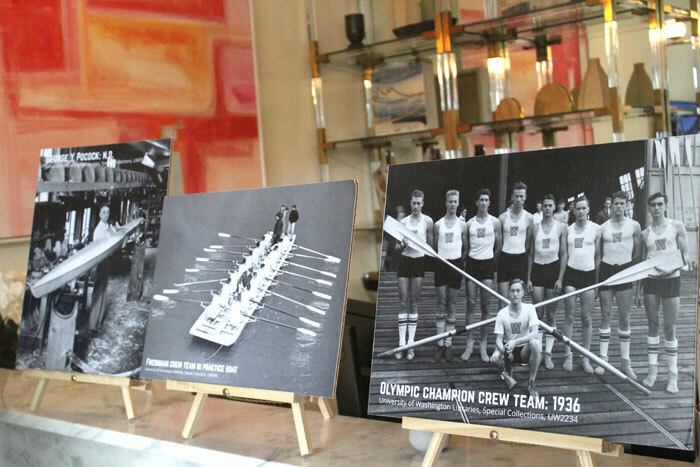 The Realogics|Sotheby’s International Realty broker was a UW oarsman from 1988-91. The UW rowers lived in a modern shell house when he went to the university, Lumpkin said, but the athletes would find ways to hang out in the historic structure, which last housed the crew program in 1949. Lumpkin was at the Head of the Lake Regatta last November, when he noticed the shell house door was open. He went in, and that’s when he met Nicole Klein, capital campaign manager for the ASUW Shell House. He immediately volunteered to help with the renovation any way he could. 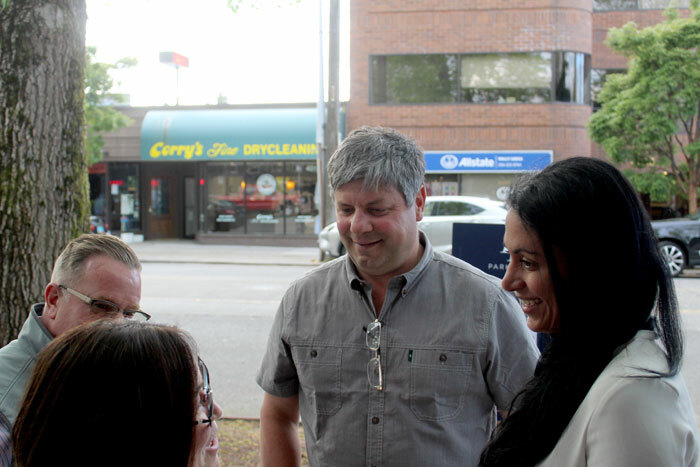 He invited Klein to bring down historical photos and design renderings for the project during an open house at Sotheby’s Park House showroom in Madison Park on Thursday, May 10. The ASUW Shell House, also known as the Canoe House, was built by the Navy as a hangar for Boeing seaplanes, but World War I ended before the building could be used for that purpose. UW bought it for a steal in 1919, at $1. It was used for the rowing program until 1949, and was made famous in Daniel James Brown’s book, “The Boys in the Boat,” about the UW crew at the 1936 Berlin Olympics. People have been renting space in the shell house for storing kayaks and canoes since 1975, Klein said. It is accessible to those renters by way of a private access code. What UW wants is to open the shell house back up to the public and students, Klein said, building community and the Montlake Cut waterfront. The shell house will be repurposed for lectures, classes, graduations and ceremonies, as well as be available to rent. Those renting space for their canoes and kayaks will have to leave. A feasibility study was completed last year by SHKS Architects, with pro bono assistance by Hoffman Construction in the form of a 3-D scan of the building. “It is so important to our history that people start giving us help,” Klein said. UW took the ASUW Shell House through the Seattle landmarks process, receiving designation status in April, Klein said. She added this is the first UW structure to receive landmark status. Construction can’t start until the full $10 million is raised, a goal Klein expects to reach by the end of this summer. Shoreline and seismic retrofitting permits are expected to take a year to complete. She is exploring a number of grant opportunities, such as with Historic Seattle. If all goes as planned, the renovated ASUW Shell House would open in 2020, and the condition of the wood building restored to what it was 100 years ago, Klein said. Famous boat builder George Pocock designed boats that were very popular, especially among UW rowers in the past. His shop was in the loft of the shell house. Honoring that history, UW wants to reserve that loft space for Steve Chapin, a Port Townsend boat builder who apprenticed in the style of Pocock, where he can build and repair racing shells. “We want to fund apprenticeships, and also help him sell the boats,” Klein said.